MY HAIR REGIMEN Archives - Beauty Blvd. 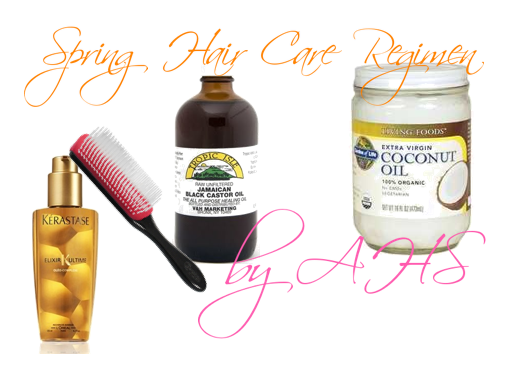 My Summer Hair Care Regimen is going to be super simple and easy to follow and keep up with. I do not have any specific length goals in mind, my only goal is to maintain the health of my relaxed hair. What are your summer hair plans and have you developed a summer hair care regimen? 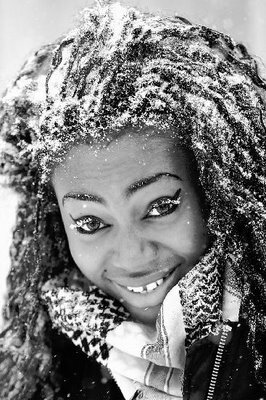 Once the weather begins to get colder do you change up your hair care regimen? I make a few tiny tweaks in my regimen because during the colder months I noticed that my hair feels dry if I don’t. Mainly, I end up moisturizing and sealing my hair more often in the winter. I use more oils in the winter as well. Over time, I’ve realized the winter months can either make or break my length retention just because it’s so dry out and my hair can really suffer. To protect my hair this winter I’m going to be more diligent about moisturizing and sealing my hair, especially the breakage prone nape area. I plan on wearing my hair in buns and other styles where the ends are not exposed. Plus, I’ll be sticking to my Operation Wedding Hair plan. What do you do differently with your hair in the winter? Share below in the comments section. I’m so excited that summer is right around the corner. My pool opens this weekend and while the water is probably too cold to take a dip, I’ll be there! I love the warmth of the sun on my SPF protected skin and once it gets warmer, I love the feel of water. Anyway, the summer can be the most brutal on my hair because I love to swim and usually I take a dip almost daily. Usually during the summer I rely on co-washing and wearing buns. I step up my deep conditioning by doing an overnight deep conditioning treatment twice a week. But this summer, I plan on deep conditioning overnight three times a week and saturating my hair with oil overnight once to twice a week. Thankfully, since I’m a nurse in L&D I can wear a scrub cap while I work and it’s totally acceptable and common. Since my entire head is covered no one will be the wiser as to what’s actually going on under there. 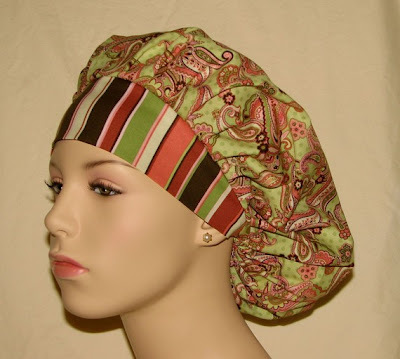 My Plan: apply a treatment (whether it’s an oil treatment or a deep conditioning treatment), cover with a plastic cap, and then cover with my scrub cap! Today marks the first day of Spring 2011! I’m super duper excited that it’s finally here and I’m hoping that the weather warms up for good, so I can get outside to start being more active. This Spring I plan on continuing with my weekly Dominican Roller Sets with minimal blow dry action. Instead of getting my entire head blown out, I ask for only the roots to be blown so that it has the look for a fresh perm without the damage. To maintain the style I wrap my hair at night and use a few products to keep it shiny and moisturized. 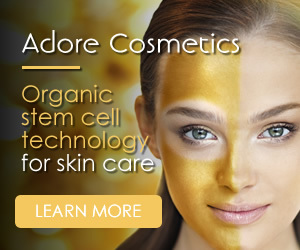 For the first few days, I only use a light serum to add shine. Then towards the end, I use coconut oil on the entire length of my hair just prior to wrapping it up for the night. Other nights I will add some JBCO to the nape area before I get started with the coconut oil. But for the most part that’s it and that is what I will continue to do before pool season starts! For the summer months I have a whole other plan that should help me retain lots of length and allow me to swim just about every day. I’ll be sure to keep you posted on that regimen too, so look for it on the first day of summer!